Career development is defined in the Canadian Standards and Guidelines for Career Development Practitioners as the lifelong process of managing learning, work, leisure and transitions in order to move toward a personally determined and evolving preferred future. CCDPs, like CDPs, support individuals, groups, and organizations to achieve their goals but they have taken the next step in their own career development by demonstrating professional behaviour, interpersonal competence, career development knowledge, and needs assessment and referral in the career development industry to a certifying body. Additionally, CCDPs may have specialized skills in the areas of assessment, facilitated individual and group learning, career counselling, information and resource management, work development, or community capacity building. Certified Career Development Professionals / Practitioners adhere to a professional Code of Ethics as outlined by the Canadian Standards and Guidelines for Career Development Practitioners and participate in ongoing learning, training, and professional development. Certified Career Development Professionals / Practitioners can be found providing career and employment services in many different places including school guidance centres, college / university career centres, community-based agencies, government service centres, outplacement organizations, workplaces, health centres and / or through private career service firms. Others work as independent practitioners, contractors, or consultants. The launch of certification for CDPs in Canada. The launch of certification in Canada has served to strengthen career development as a field of practice, increase the competence and professionalism of CDPs, and provide quality assurance to employers, funders, and the public. Certification raises the bar for the field, demonstrating to employers / funders, policy makers, and the public that the work of practitioners is grounded in professional excellence. Certification operationalizes the competency standards and ethical guidelines that were established through the S & Gs, defines a scope of practice, supports quality delivery, and ensures accountability. Certification contributes to public awareness of career development as a defined field of practice with core competencies and areas of specialization. Certification confirms mastery of critical professional competencies, recognizes professional development and growth. The process of achieving and maintaining certification demonstrates continuous improvement and refinement of practice. Certification demonstrates the use of industry respected best practices to clients, competitors, suppliers, peers, employers, and funders. Certification holds practitioners to higher level of skill development that can open the door to career / promotion opportunities and possibly garner a higher income. Certification offers opportunities for recognition by peers, employers / funders, and recruiters as a competent professional in the field; it can provide a professional competitive edge. Certification establishes practitioners as experts, leaders, and innovators in field. 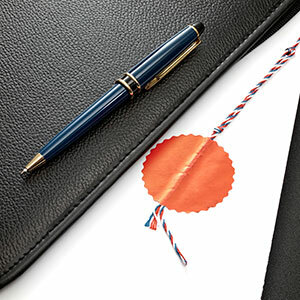 Certification is a tangible way to screen and differentiate between candidates. CCDPs have been assessed for their knowledge, experience, and competence as practitioners in the field and are committed to professional growth and development. Certification establishes candidates as current, connected, and committed professionals with the potential to move into leadership positions. Certification makes it easy to identify and target training and professional development. Certification sets you apart as a service provider and industry leader as it demonstrates your commitment to operating professionally and ethically. The application, renewal, and ongoing assessment process associated with certification elevates employee / contractor responsibility, commitment, and motivation. Top-performing companies understand that training and professional development lead to measurable bottom-line results and improved client / customer satisfaction. Certification affords the public the opportunity to make an informed selection of services based on the knowledge and training demonstrated by CCDPs. Certification has a set standard for excellence and provides a mechanism for visible accountability that the public can trust. The public has assurance from the certifying body that the CCDP is held to a quality standard for practice and ethics and can make a complaint if they have concerns about a CCDP. Provincial certification is voluntary. While practitioners do not need to be certified to practice in the field of career development there are some occupations within the career development field that do require certification to practice. Membership with the certifying body / provincial career development association is mandatory to apply for certification, except for in Nova Scotia. Certification is governed, managed, and administered provincially by the career development association / organization in that province; all of the associations / organizations are members of the Canadian Council of Career Development Certification Working Group. Certified Career Development Professionals / Practitioners are eligible to participate in the Canadian Counsellors Liability Insurance Program through AON Insurance. For more information about career development or the CCDP designation please visit the CCCD website here.